It's time for you to win your fantasy baseball league! Fantasy baseball has been unkind to me over the last decade. Sure, I’ve done plenty of things that have provided major distractions during that time frame. I went back and finished college, got married and even had a couple of children since I rattled off back-to-back Fellsway Fantasy League titles. Since then it’s been nothing but heartbreak as seasons have collapsed far from the finish line and the excuses have piled up. That all changes this season as I have been rejuvenated thanks to one of the best in the business, Larry Schechter, whose resume includes six Tout Wars expert league titles and now, author. 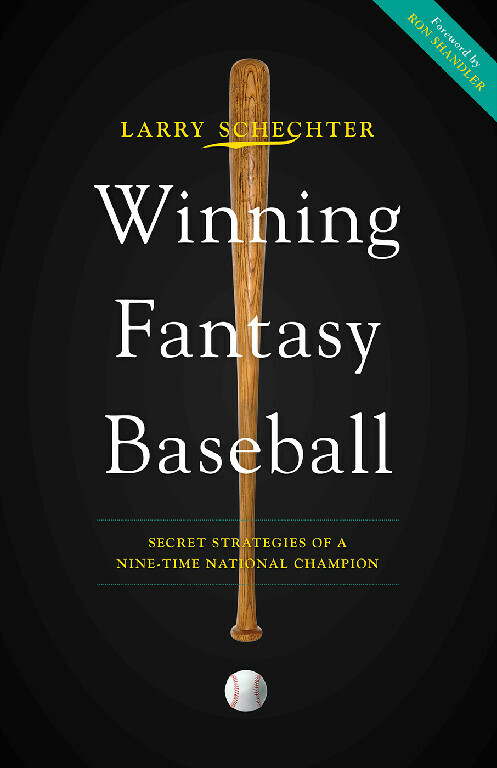 With a plethora of championships and over two decades under his belt, Schechter has put his knowledge on the page in Winning Fantasy Baseball: Secret Strategies of a Nine-Time National Champion, an Amazon chart topper and the new secret to my success. “It took a long time, but a lot of that was because it was very on-and-off,” said Schechter of getting the book together. “I think it was maybe 2008 when I started. What I decided to do was write a couple of sample chapters…to see if I really had a book in me, as opposed to a long magazine article. This book breaks it down for players of all levels, providing strategies for how to handle your draft or auction, the importance of evaluating talent and how to manage it once you’ve got it. I found this book hard to put down, realizing my own flaws within the game I sponged up the material, all of which is clear and concise. Part of my problem, over this decade-long draught, has been a major lack of preparation prior to my drafts, and after reading Winning Fantasy Baseball I now see the error of my ways…and that it’s never too early to start your prep work. “I typically start in January,” said Schechter. “I spend a lot of time from January through March looking at the players. Another part of my problem has been trying to pick the fruit from the vine before it is ripe. Call it a hazard of covering the players at this level and falling for their potential, which is hardly ever realized in their first season or two. “It’s obviously a lot easier to try and project somebody like Dustin Pedroia,” said Schechter. “Somebody like [Xander] Bogaerts, where you got some Triple-A stats and a handful of stats from 2013, it’s a lot more difficult, a lot more a crap shoot. But what about being conservative with all of these title winning secrets? What about putting them out there for the whole world, including Schechter's direct competition, to pick apart and use to their advantage? "I've played against Larry. I'm glad I read his book. Now I have a chance to beat him." -- Alex Patton, founder of pattonandco.com, and author of six fantasy baseball books. Schechter isn’t losing any sleep over it. “I wasn’t too concerned about giving away my strategies to my competitors,” said Schechter. “I think for some of them, they can improve their game. Of course you and I won’t get a crack at besting Schechter with the info from Winning Fantasy Baseball, but you can certainly put his words of advice to great use. Schechter’s book is a blueprint for you to win your fantasy baseball league. It’s just that simple. How could you pass that up? The information on those pages is invaluable and it has made me want to delve deeper into the game, helping me refocus my efforts and rededicate my time back into the investment of fantasy baseball seasons ahead. Now I will just sit back and wait for my drafts to come, rebirthing what was once the dominant franchise of the Fellsway League. Friends, you’ve been put on notice. 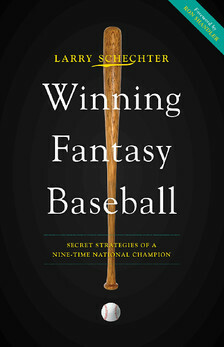 Winning Fantasy Baseball is available at Amazon.com, Barnes and Noble and iTunes. Here are some other interesting sites and blogs that cover baseball prospects.